During President Rodrigo Duterte ramarks at the 25th anniversary celebration of the Center for Brighter Beginnings at the Davao Convention Center on Friday, he requested a list of illicit drugs from the United Nations by the International Narcotics Control Board (INCB), an independent and quasi-judicial control organ for the implementation of UN drug conventions, to be distributed among schools nationwide to educate students about the the effect of illegal drugs, mentally and physically. “I will give you a copy. This is good for the children. It is called precursors. 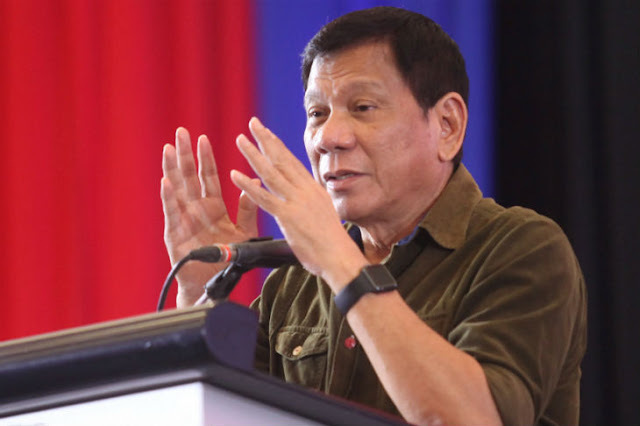 You just digest it, International Narcotics Control Board (INCB), precursors and chemicals frequently used in the illicit manufacture of narcotic drugs and psychotropic substances,” Duterte said. “I’ll give a copy of this to every school. Andito na lahat. Ang (Everything is here, the) chemicals,” he added. 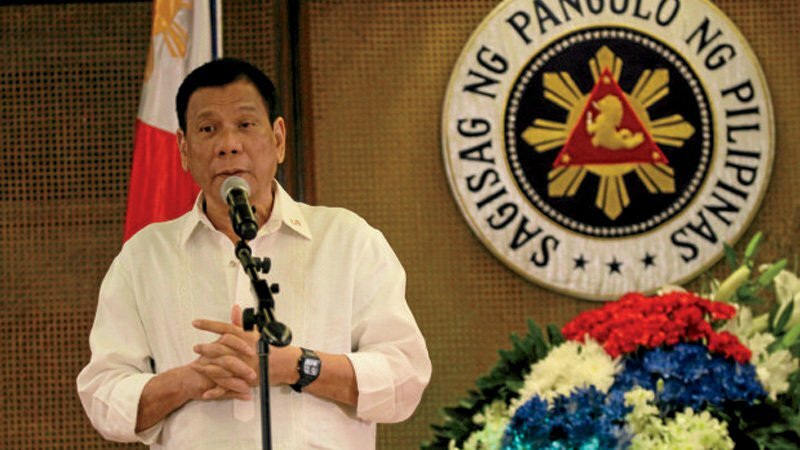 Duterte pointed out the possible risks of drugs on health of humans. “Other risks – sinabi ‘yan about health… Other risks – cannabis smoke contains 50 percent tar, more than the high-tar cigarettes, which puts users at an increased risk of lung cancer and other respiratory diseases,” he pointed out. “Mixing cocaine with alcohol is a dangerous cocktail and can greatly increase the chances of sudden death,” he added. During his lecture, the President also pointed out the dangers of Ecstasy pills and the danger of heroin overdose. 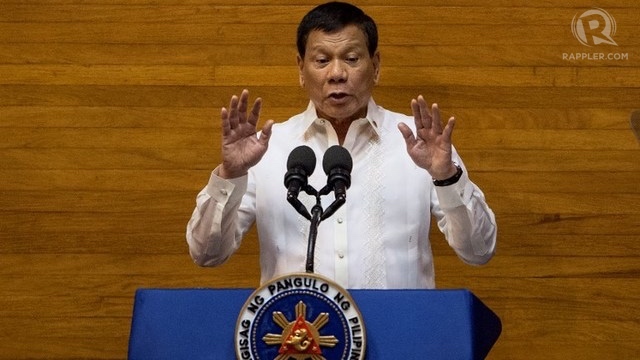 “Bright, moderate tablet or pills that are sold as Ecstasy may contain other potentially dangerous substances and can vary in strength and effects; may contain cocaine,” Duterte said. “They include dilated pupils, increased heart rate and blood pressure, loss of appetite, sleeplessness, dry mouth, and tremors. Some LSD users experience severe terrifying thoughts and feelings, as fear of losing control, fear of insanity, death and despair,” he added. Aside from ecstasy and heroin, He warned his audience on the effect of shabu or methamphetamine that can cause death. “You’d notice that heroin, cocaine are extracts of the poppy. Plant eh. It’s a plant. 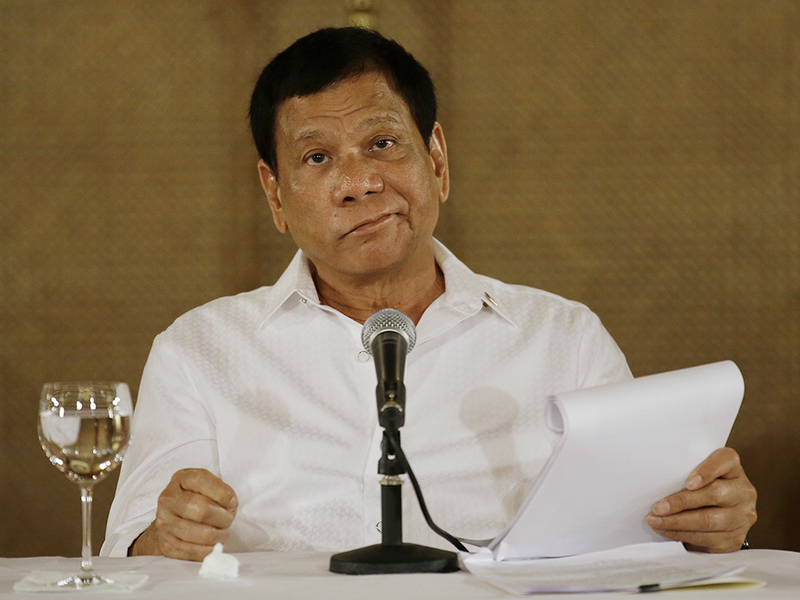 So they’re not very…you know, they are grown organic,” unlike shabu, Duterte said. “As what I’ve been saying, you take time. You take time to realize. I saw it a long time ago. I was still a mayor when I saw the devastation,” Duterte said. “One day to your sorrow, now you see, it is a national health problem. It is health really. It is law and order,” he added. Duterte again taunted former US President Barack Obama for criticizing his tough approach to fighting the drug menace. “They just declared. I just listened,” he said. “It’s national, it’s because it affects the health. And illegal substance affects the health and affects the peace. Huwag mong kalimutan ‘yan (Don’t forget that),” the President said. “I told you. So what’s happening to America? It is in total disorder,” he added.